Simon & Schuster Books for Young Readers, 9781481423366, 352pp. 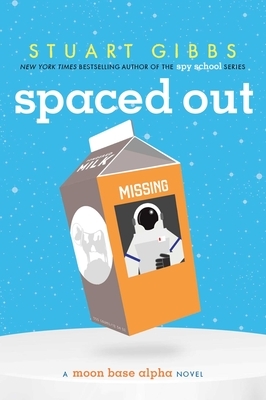 The moon base commander has gone missing and Dash Gibson is on the case in the second mind-boggling mystery of the Moon Base Alpha series from the New York Times bestselling author of Belly Up and Spy School. There’s nowhere to hide on the world’s first moon base. After all, it’s only the size of a soccer field. So when Nina Stack, the commander of Moon Base Alpha, mysteriously vanishes, the Moonies are at a total loss. Though he may be just twelve years old, Dashiell Gibson is the best detective they’ve got. But this confusing mystery pushes Dash to his limits. Especially since Dash accidentally made contact with an alien and has to keep it a secret. With the fate of the entire human race hanging in the balance, will Dash be able to solve the mystery of the missing Moonie? "The book is filled with scientific information, humor, and an appropriate amount of noxious gasses."